Mr. REAL is an acronym for My Rhymes Realistically Educate All Listeners. Mr. REAL rapped to LL Cool J and Heavy D using his older brother as an inspiration to start rapping. Mr. REAL was a seasoned performer. He enjoyed a crowd and would sing, dance, or act with brilliance. He performed in school and church. Mr. REAL stopped rapping for a time because his mother did not agree with his music. He was enlightened by God to rap strictly for Him. Even after his brother's passion for rapping faded, Mr. REAL continued to make a name for himself globally. "I decided in 1993 that I would perform my first Christian rap in front of a live audience," said Mr. REAL. "My little brother said don't do it because they weren't ready for it. So I got leery and self-conscious, but I performed at a high school alumni function and did really well. Plus, now my little brother is a Gospel rapper." 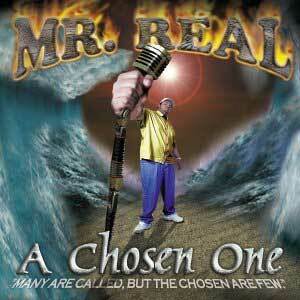 After Mr. REAL heard the Gospel Gangstaz, he felt God calling him to join the Christian Rap Industry. Now, he finds inspiration in his family. He loves to touch people through his Christian rap ministry, and he does just that in his newest album, Humility, containing 11 hit songs.